At Joseph C. Crudo, PLC in San Diego, we specialize in all aspects of Aviation Litigation. Aviation Litigation is a broad field of law that relates to accidents or incidents involving anything to do with aircrafts. This includes cases involved helicopters, airplanes, as well as aircraft and parts manufacturers, airports, pilots, and airlines. We will represent you in any circumstance whether it is physical accidents, disasters, or even disability and racial discrimination claims, breaches of contact, and other business disputes. If you need a team of professionals to represent you in any aviation litigations, please contact the law office of Joseph C. Crudo, PLC in San Diego. 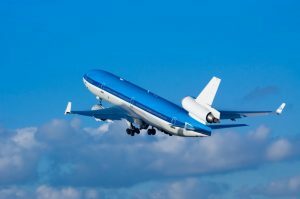 There are many occasions where finding an aviation litigation attorney becomes necessary, one being the most common: commercial aviation litigation. Commercial aviation litigation includes any legal disputes involving commercial airlines. The best way to handle a commercial aviation litigation is by contacting a lawyer as soon as a problem is presented. The sooner we can start working on your case, the more likely we will get ahead of the game. This will allow us more time to understand the situation, learn if the other party is willing to negotiate, assess the strength of your case as well as strategize a plan. We might get your case solved without taking it to court, although if taking it to court will help you win, we will. Joseph C. Crudo and his team have the expertise and experience you need to win your aviation litigation case. No matter what the scenario is, Crudo and his team will go to any length to give your case the attention it deserves. We try to accomplish your goals without going to trial, but if necessary we are always prepared to take your case to trial if it will end with a better result. If you have found yourself in an aviation scenario that will require legal assistance, please contact the office of Joseph C. Crudo, PLC for expertise Aviation Litigation in San Diego, CA. We have a full team on deck prepared to help you through any situation.